Labii uses Support Tickets to maintain customer requests. Our support is available 24/7 and we will address your questions as soon as possible. 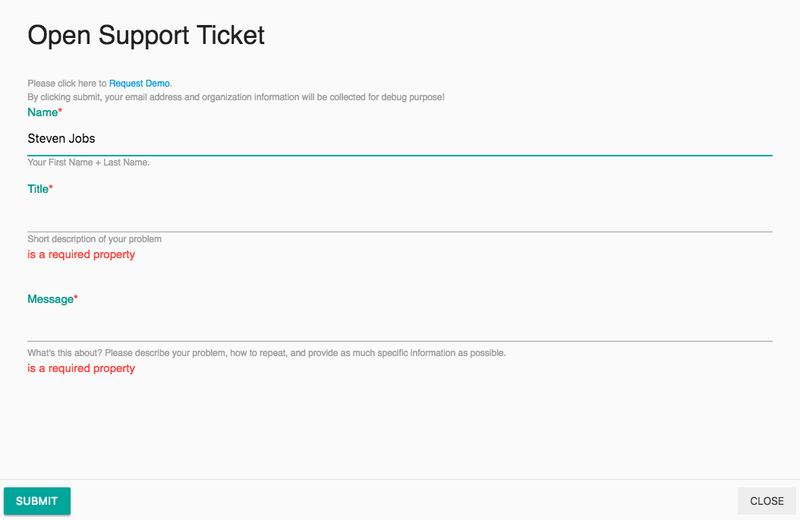 To use Support Tickets in Labii ELN and LIMS, you must be a Labii user. If you just want to ask a general question, try Contact Us at Labii Homepage. Once logged in, click the Help Icon on the sidebar. Fill in the subject of the question and the message. Click submit and you will receive a confirmation email. One of our agents will review your question and get back to you. This is a response to a blog posted by SciNote, discussing the top 3 barriers and solutions when switching from Paper to Electronic Lab Notebook. Based on SciNotes’ study from academic users, Free is the only option. Labii however, has a different perspective after doing 2 NSF ICorp programs and interviewing more than 300 companies and academic users. A research notebook is the most important asset to a scientist. If there is a fire, the notebooks are the only things the scientist should grab and run with. Are they not willing to pay for a penny to have the most important asset to be protected? No. They are not willing to pay for some useless electronic lab notebook, that works just like a word document and could not bring much value to their research. Read more at Is an ELN too expensive for you. Labii is continually adding functionalities to its ELN and LIMS. At the same time, we offer Pay Per Use options to allow scientists, especially those from academic backgrounds, to be able to start using a quality Electronic Lab Notebook with a cost less than a cup of coffee. Labii agrees with the solution for this barrier, and most importantly, we are already moving in this direction. Labii, together with University of Cambridge (life sciences) has realized the diversity of requirements, and the difficulty of meeting their requirements. Labii creates a system that 1) allows users from a different company to decide what kind of data to store. They are not limited to reagents, samples, icons, et.al. They can freely customize the names and can add any other categories of data like plasmids. 2) allow users to define the attributions/columns of one type of data. For a particular column, a wide range of details can be customized, like what type of data, if it is required or optional, et.al. 3) For a specific record, the details can be freely added via adding sections with various widgets. For example, a manual can be attached to an equipment record. Labii is the only company that provides a product with integration of Electronic Lab Notebook (ELN) and Laboratory Information Management System (LIMS). Users can decide how to use the platform via document management, file management, and inventory management in Labii. Schedule a demo to see Labii ELN & LIMS in action. This video will introduce the concept of Labii ELN & LIMS. Labii organizes all the data you want to store as Tables. For example, experiment notes can be stored into Experiment Note table. New tables can be created to store other types of data, like plasmids or cell lines. Inside a table, the data record is organized like an Excel. Each row represents a record, each column represents the attribute of the record. The number and type of columns can be customized to match your organization's need. Each record has a detail view. You can add whatever kind of data to the detail view. Each set of data is a section. The section can be the steps of a procedure, or the pictures of a result. Each section is a combination of data and a set of function. The function is called Widget at Labii. For example, the overview section has text to describe the purpose of the experiment, the text is the data, the text editor is the widget. Labii provides varieties of widgets for you to choose.